"In her accessible history, Berenson focuses her spotlight on Bay State women who catalyzed the effort to gain women's right to vote on a local and national level.... The book makes a case for determination, perseverance, and patience to bring about necessary change." Few know Massachusetts was at the center of the revolutionary struggle for woman suffrage. A battle waged over historical memory obscured the state’s role—until now. Author Barbara Berenson gives the state's revolutionary reformers the attention they deserve in this compelling and engaging story. ​Read more. 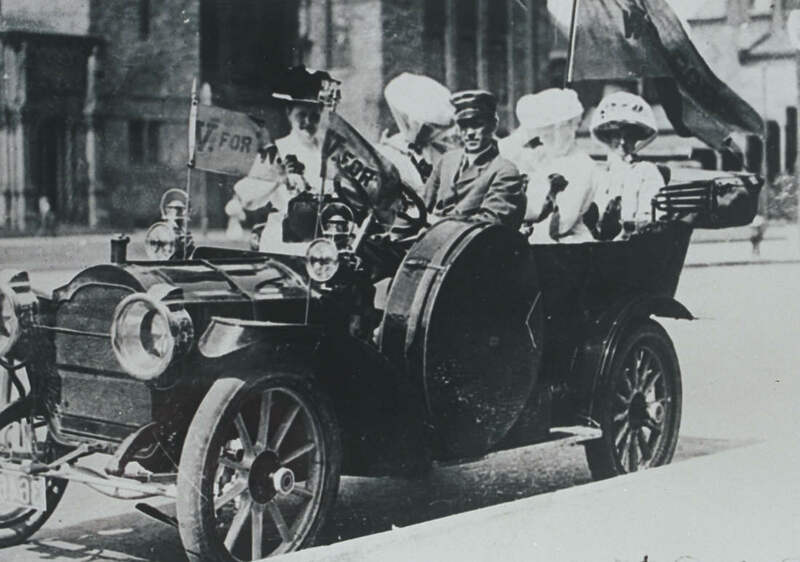 Nearly twelve thousand women marched in support of suffrage in Boston on May 2, 1914. Marchers included City Women, Country Women, Home Women, College Students, and Working Women organized by profession. Courtesy, Schlesinger Library, Radcliffe Institute, Harvard University. See a list of upcoming and past speaking engagements. To arrange ​an event for your group, send Barbara an email! 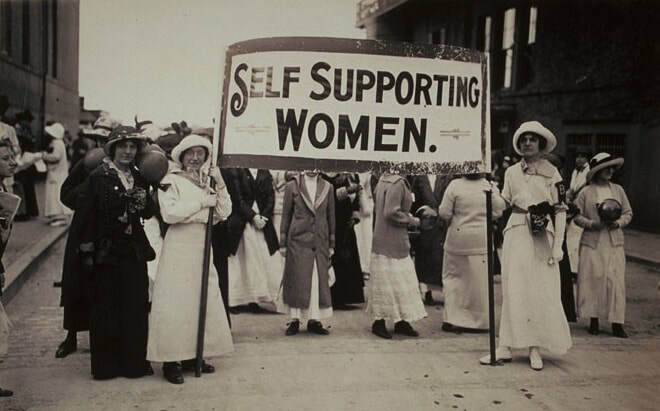 Suffragists campaigning in Boston’s Copley Square, 1910. Courtesy, Schlesinger Library, Radcliffe Institute, Harvard University.